The 57-10-08 Wing Fold Strap is shown in context in red. 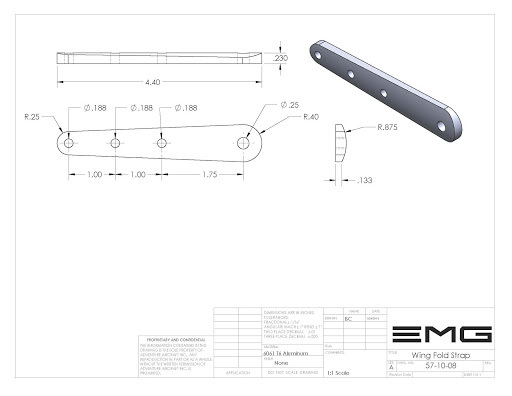 The wing fold strap is designed to be used in conjunction with 57-10-09 wing fold fitting. 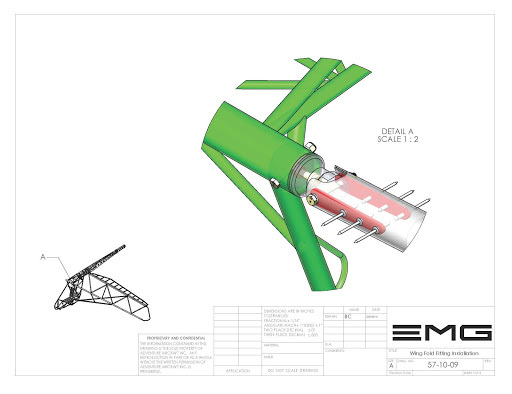 And can be used with or without the wing fold system incorporated into the wing design. There is a total of 4 fittings for the entire aircraft. 2 for each forward main spar. Although these pictures are shown slightly out of context is are being installed after the wing fabric covering is already installed the process is basically the same. 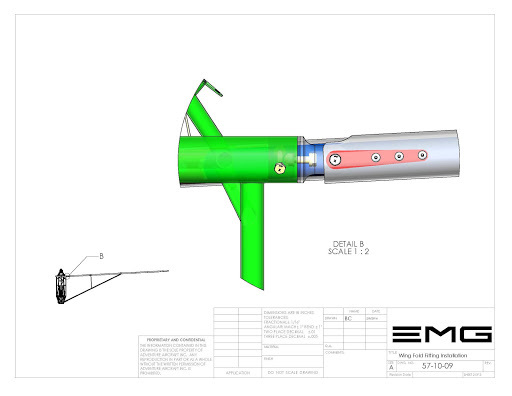 If the wing spar’s are already pre-drilled the installation is relatively straight forward. 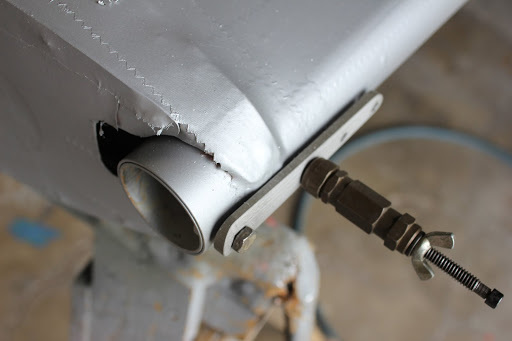 Simply insert the wing fold strap to the inside of the spar and pull (3) 3/16 inch aluminum pop rivets to hold in place. 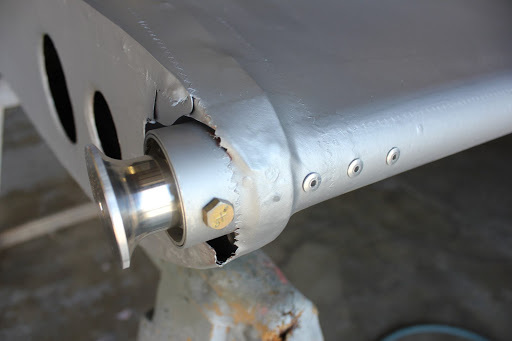 If this is a retrofit than place one of the wing straps on the outside of the spar to use as a drilling jig to properly position the holes for the straps installation. 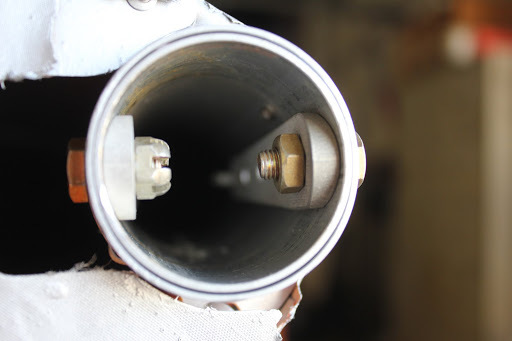 in this picture here we see a 1/4 inch bolt holding the strap in position on the outside of the spar ensuring that the fitting is parallel with the spar and then drilling the remaining holes with a #10 or a 3/16 drillbit. 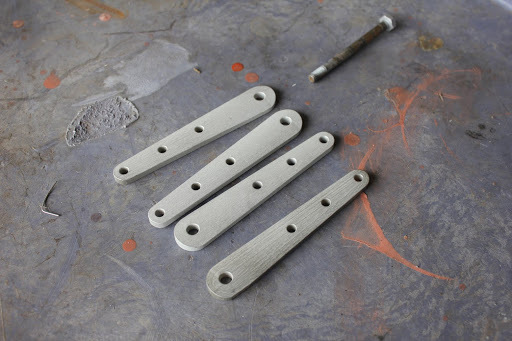 The rivets required to hold the strap in place are a 3/16 inch diameter times .5 inch length. 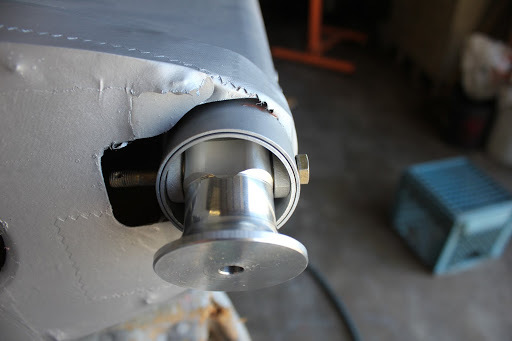 if this is a retrofit you may find that it’s necessary to use AN3 bolts on the inside fitting as the accessibility for a pop rivet gun is somewhat limited. 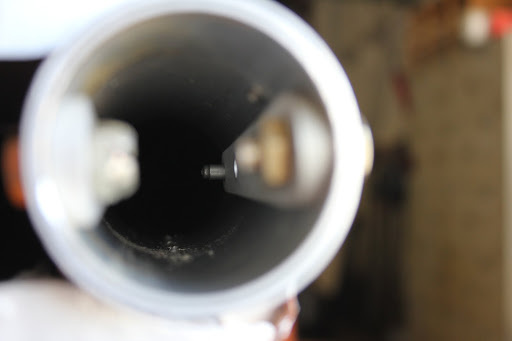 In this picture here you can see the very last hole has the 3/16 rivet installed through the fitting getting ready to be pulled. 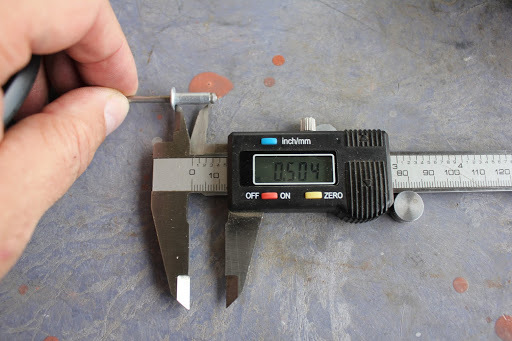 Minimum rivet length is 1/2 inch longer is acceptable but unnecessary. 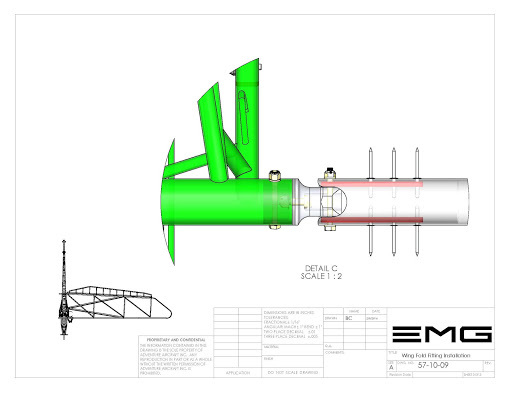 In this picture here you can see the wing fold fitting 57-10-09 in place as it will be installed on the aircraft. This is simply a spare fitting that we used to show the context of the attachment. The wing fold fittings designed to be installed between the 2 wing fold straps using and AN960L (thin washer) this acts as a bearing support which allows pressure to be applied with the AN4 through bolt. Keep in mind that these pictures that were showing here do not show the slot cut in the main wing spar that allows the wing to fold 90°. And the inboard rib is also position slightly different than on the production aircraft.